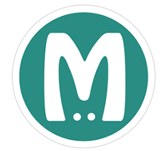 Memcached is a general purpose distributing system. It is known as an open source, high-performance, distributed memory object caching system. This tutorial explains about the related concepts of Memcached needed to create and deploy a highly scalable and performance-oriented system. Memcached tutorial is targeted to software professionals, students and IT enthusiats who want to learn and apply the concepts of Memcached in an easy way. This tutorial is mainly helpful for the beginners who wish to learn this course.